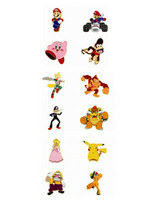 1 Caption: Nintendo of America Inc. recalled about 71,000 Character-Themed Lapel Pins in 2007 after discovering that paint on the pins contained high levels of lead. 2 Mrs. Cooney is a children's librarian at the local library. Her job consists of many different activities. She creates art projects for the little ones. She coordinates movie nights. She reads during story hours. She's been known to put on a puppet show or two. She even runs summer reading programs. She enjoys her job that allows her to work with children. 3 Last summer, children in the summer reading program earned a prize each time they read a certain number of books. One of the prizes was a bendable toy animal, like a cat or dog. When Mrs. Cooney came to work this morning, she checked her email like always. She was so upset when she read the first message. Those prizes that she had distributed had been recalled. 4 Why were the prizes recalled? They had high levels of lead in them. What is a recall? It's a notice that something is wrong with an item. It can be a toy, a food, or even a car that has been recalled. There have been recalls because of problems with pet food, contaminated meat, and even infection-causing contact lens solution. Sometimes the item can be fixed; sometimes it should never be used again. It just depends on what the problem is. Often the problem is a danger to people. 5 The bendable toys were recalled because of their lead content. What's the problem with lead in a toy? If lead gets inside the body, it is poisonous. Lead poisoning can be very dangerous, especially to young children. Taking lead into the body can impair intelligence, slow down motor development, harm memory, and cause hearing and balance problems. It can cause severe nerve damage. In some cases, it can cause hyperactivity. The lead can't be seen with the human eye. It also has no smell. Therefore, a child may put a toy in his or her mouth without the child or parent realizing it contains a dangerous level of lead. Over a long time, the lead builds up in the body. Symptoms of lead poisoning take a while to become noticeable. A blood test can be performed to show lead content. Sometimes, after a period of time, a child may seem weak or colicky. Sometimes a child may be constipated or won't be able to move his or her wrists or ankles. These are all signs of lead poisoning that's gone on for quite some time. Some of these problems are irreversible. 6 The first thing Mrs. Cooney did was to take out her list of last year's summer reading participants. She went down the list, personally contacting each parent of a child who might have received one of the recalled prizes. She urged parents to find the prize if they still had it, return it to the library, and immediately wash their hands after handling the toy. 7 As the day wore on, Mrs. Cooney became more and more annoyed that the recall had been necessary. She began doing some research on her own. She found out that years ago the most dangerous way for children to be exposed to lead was through flaking lead-based paints. Often the lead was found in house paint. Other sources of exposure included food, soil, oil, and tobacco smoke. It was listed as an air pollutant in 1976. It was also sometimes found in plastics. Lead makes plastic more flexible. Under heat, though, the bond between the lead and plastic breaks down, and a dust is formed. In 1978, the United States banned the use of lead in house paint, children's products, and cookware. 8 Although lead-based paint has been outlawed in the United States, other countries still use it. Now the greatest danger is from products that children use, especially toys. Many of these toys are made in foreign countries, such as China. 9 The Consumer Product Safety Commission recalls Chinese imports twice as often as products from anywhere else. In the past few years, millions of pieces of children's jewelry and toys have been recalled. These included 103,000 movie necklaces, action figure toys, 5,000 game sets, sidewalk chalk, 43,100 party hats, toy ovens, and 1.5 million train sets. In many of these cases, lead was found in the paint on the toys. 2. Research a list of 10 recalled items. What was the reasoning behind each recall? 3. Find out what "green" toys are. Give an example of one in picture form.